Have you struggled with sticking to a healthy lifestyle? I know I have. It’s taken me years to become more consistent in leading a healthy lifestyle. I’ve had to form completely new habits and I’ve definitely struggled through setbacks for health reasons and just plain laziness. A quick overview on me, I have Hashimoto thyroid disease, endometriosis and bouts of fibromyalgia. I can tell you that I’ve truly struggled with chronic fatigue and pain. I went through the doctors and the meds but in the back of my head I knew that wasn’t the path for me. I realized that I had to make some changes on my own, but that was incredibly daunting for me so I started with small changes. I’d research and incorporate some of that into my life and so on. Early on in my journey I would wonder if it was all worth it. Did I really feel better on a regular basis when sticking to healthy eating habits? Today I look back and realize that I have a completely new lifestyle going on and I feel so much better the majority of the time. And yes, I still have setbacks, as we all do. I struggle through them and I have to force myself remember that everything I’ve set in motion actually makes a huge difference in my overall quality of life. 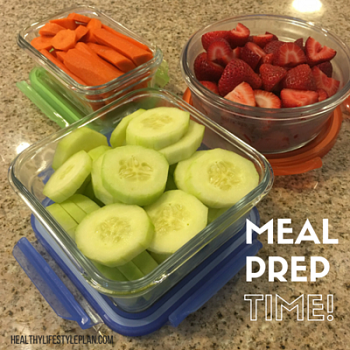 1 – Plan out and Prep your meals! Planning out what you’ll eat each day is a great way to ensure that you will stick to healthy eating habits. I personally follow a gluten free, dairy free, grain free diet, so that can be a bit tricky. I choose to do most of my meal prep on Sundays. I spend a good part of the day preparing my lunches for the week, cutting up my veggies for snacks, and preparing a dinner that will last a couple of days. I also make sure that I have food for any other meals I will want to prepare during the week. I use glass food storage containers that can be used in the freezer, fridge or microwave too! Another tip, try keeping breakfast during the week simple too. I love breakfast smoothies because they are easy to make and packed with energy to get me through the first part of the day. Garden of Life RAW Protein and Greens is my go to for breakfast smoothies because it’s a plant based protein and it’s a great way to pack in the greens! And find a way to manage it! This is no easy task, I know. One of the things I’m focused on learning about right now is how my body reacts to stress and certain situations. One incredibly stressful day can cause me to have a fibromyalgia flareup for days at a time. Even when sticking to a healthy lifestyle, stress can absolutely put your body into a downward spiral. Physical activity is so important when it comes to managing stress. Go for a walk, use the stairs instead of the elevator, get an exercise partner and encourage each other to keep moving. The hardest part is starting, especially when you’re not feeling well. But once you do, and once you get into the habit and condition your body to exercise, the odds are that you are going to start feeling so much better. So start small and grow those little walks or stair climbs into a daily workout. And when you’re having a bad day, don’t give up! It’s temporary and you might have to go back to basics. Go for a walk, do some yoga. But it’s so important to keep moving, even if it’s just a little bit at a time for those bad days. We all say “But I don’t have any time!” Trust me, you can find five minutes for yourself. It’s important to prioritize time for yourself into every day, just like your job, or your kids, you are in need of attention too. Take a bath or a ten minute walk with some good music on. 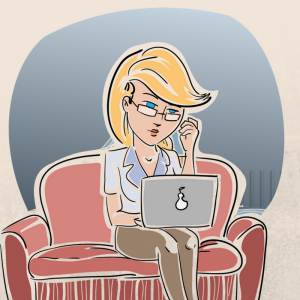 We all need to decompress and process information that might be adding stress to our lives. Nurture yourself! I’ve had to learn to say NO to people and plans so that I don’t overextend myself. I’ve had to learn my limits and listen to my body when it comes to making plans and trying to fit too much into a day or a week. Lastly, try and take things in stride. We can’t avoid stress, but we can get through it! We have this one body, make sure you are a priority too and stay in tune with your needs. I can’t stress enough how much exercise has saved me. I don’t particularly like working out, but I like how I feel after. I’ve had some pretty bad days with chronic fatigue and chronic pain… all I wanted to do was curl up on my bed and sleep. And I did that, many times. Unfortunately, it only added to my problems. I had to force myself to get moving. My setbacks definitely frustrate me but I now have a good foundation for getting back into the swing of things. I’ve slowly built my workouts up and when I have setbacks it is back to basics for me, but it’s much easier now to get to the point where I left off. My advice is to start small. Go for a walk, do some stretching, try some yoga. Make plans to go for a hike with friends on the weekends. Any activities are GREAT for your physical and mental health. If you’re suffering from chronic fatigue and/or pain, remember that it takes time to start feeling any benefits from working out. In the beginning you might not feel so great but once you get past that, you’ll never want to stop because stopping seems to bring it all back. Sticking to a healthy lifestyle can be difficult at times. Today, I’ve given you three important tips to stay on track, even when you feel overwhelmed. The key to any accomplishment is staying consistent, and that applies to your new healthy lifestyle too! Even if you don’t see results today, you will over time. 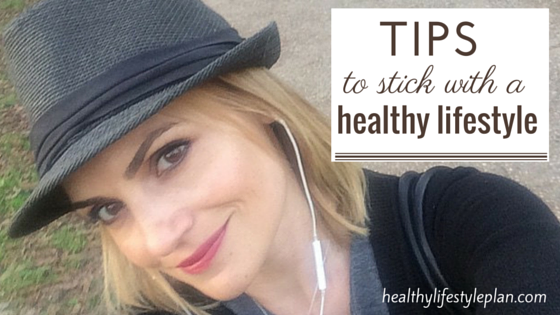 What are your biggest struggles with sticking to a healthier lifestyle? Do share in the comments below or contact me here!